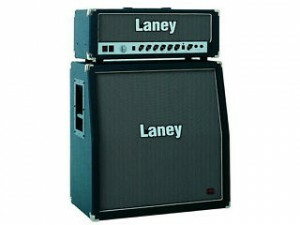 Try any guitar through this amp and for once it’s impossible to get a poor sound – Laney have found the magic formula to produce that great sound canvas mentioned earlier – plug in, tweak the controls – and it simply sounds great. Wind the volume up and things become tonally very rich, lots of usable hi’s and lo’s and when you kick in the overdrive facility you immediately understand the magic in this range of heads – blistering high gain with tone to spare. Finished in Laney’s now famous livery and ergonomic side grab handles the GH50L looks every inch the tone monster it is.